Staged A2 licence - The candidate must be at least 19 years of age and have held an A1 licence for a minimum of 2 years. DSA Module 1 and 2 400cc retests will be required. 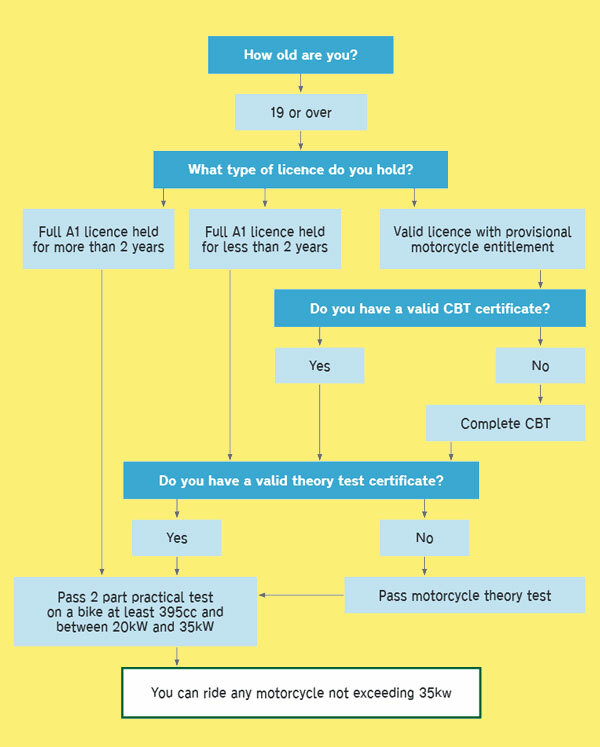 A valid theory test certificate is always required before taking the first practical motorcycle test and unless taking the progressive access route, a valid theory test certificate is required before taking any subsequent practical motorcycle tests.